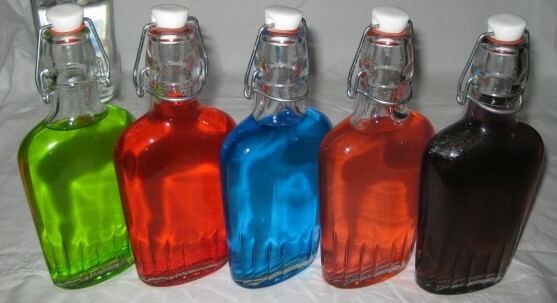 Jolly Rancher Vodka—get some ready for breakfast! You may have been weirded out by the off-putting opacity of Skittles Vodka. It makes sense that people might wish to see through their candy-styled vodka infusions, and if you’re one of these clarity fans, then here’s a shiny, translucent variation: Jolly Ranchers Vodka—yeah!! 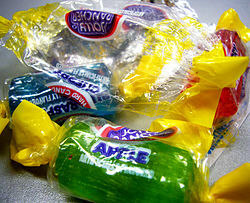 Jolly Ranchers have long been regarded as a lens into overlapping realities. With a mind-blowing assortment of flavors, they’ve historically been the preferred side dish of acid-tripping synaesthetes who love to merge taste and smell with sound and color. Aficionados say Jolly Ranchers can make an LSD trip all-singing and all-dancing all night. It kind of sounds like one of those made-up geezer stories you hear from forty-somethings like my parents who like to wax on about their lives “BC”—you know, when they used to read two books instead of one and stayed up until 11:00 instead of 10:00. But I honestly doubt my parents have ever done anything more heart-pounding than miss their stop on the SkyTrain. Boring parents aside, this lovely Mix That Drink recipe seems like a nice nod to the role Jolly Ranchers may or may not have played in altered consciousness. You have to know I’ll never be allowed to devote a bottle of Grey Goose to it, but I hope you will, my friends, and tell me all about it. I am totally hijacking this post to tell you I totally emailed you and you should totally read it and respond even if it’s to say that I should STFU and write my own blog posts on my own blog where they belong because you don’t want my writing sullying your good name. *gasp! * Longest run-on ever. Also, I want to have the Jolly Rancher Vodka. That honestly sounds like the best story ever and I’m contemplating demanding that you write a guest blog so I can hear about it in further detail (or more hilarious stories). Much as I’d like trying Jolly Rancher Vodka I’m more of a gin drinker. Have to say I’ll go out on the occasional limb though; such as that bottle of Mistique. It was the color that got me. Come to think of it it DOES look like a blue raspberry Jolly Rancher. As an aside, it was tasty, but not tasty enough -nor high enough proof- to justify the price tag. There are more and more ‘mixed’ vodka and gin flavored concoctions, some with cognac, brandy, fruit juice and/or local rotgut. They’re made to ADD to juice or soda. Or in my case club soda. Weak unless served on the rocks, straight. As it’s holiday time I’m hoping that the season will provide some Holiday Spirit(s). May wind up trying the Jolly Rancher vodka if it can be found in these here parts.